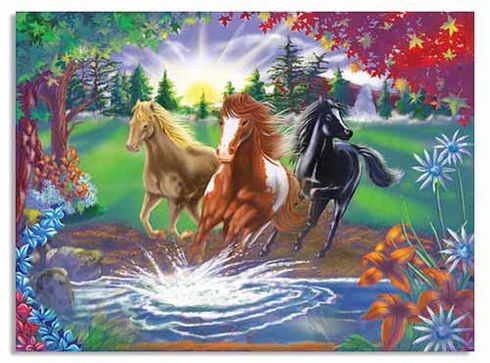 The thick, durable pieces of this 300-piece puzzle when assembled, feature three horses about to splash across the river. This best quality cardboard jigsaw puzzle represents a great value! Bright, sturdy packaging will withstand many uses.